When Prince died unexpectedly in April 2016, the grief surrounding his passing was felt by multimillions of music fans the world over, perhaps to a degree even deeper than anyone expected. 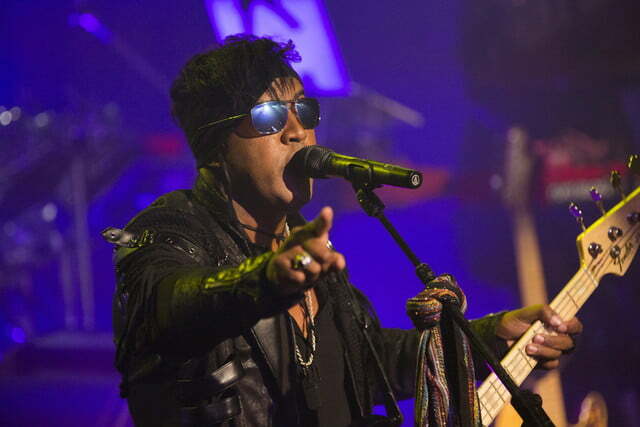 Among those clearly hit the hardest by The Purple One’s death were his bandmates in The Revolution, the tight-knit funk ’n’ roll group that helped seal his legend when performing alongside the man in the iconic 1984 movie Purple Rain, as well as on its ensuing soundtrack and career-defining albums like 1985’s Around the World in a Day and 1986’s Parade. 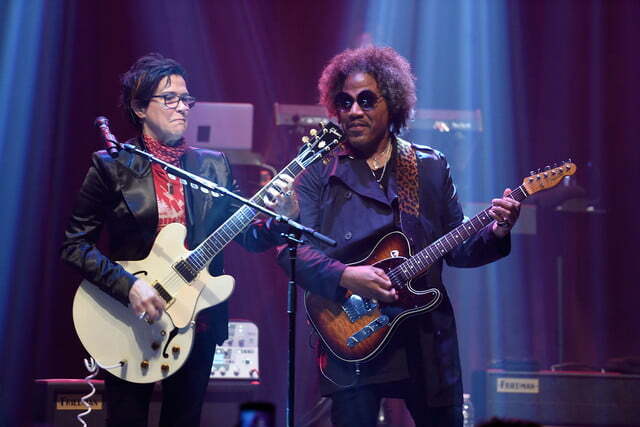 When the idea of having the band reunite and go on tour to celebrate Prince’s rich musical heritage first came up, the five women and men comprising The Revolution — guitarist/vocalist Wendy Melvoin, keyboardist/vocalist Lisa Coleman, keyboardist/vocalist Dr. Fink, bassist/vocalist Brownmark, and drummer Bobby Z — were definitely interested, but also rightly cautious. 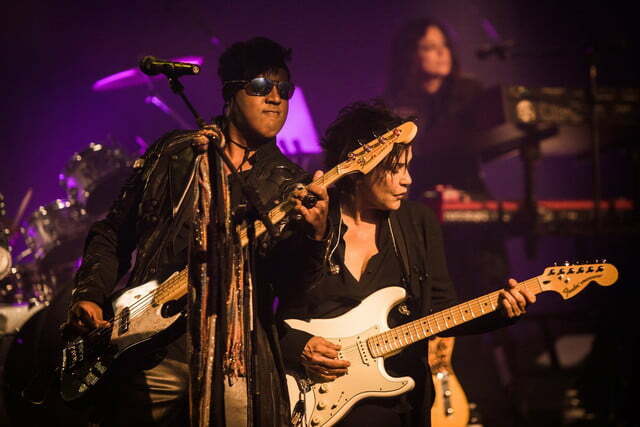 When The Revolution dipped their toes into the touring waters, they quickly found audiences exuberantly embraced their onstage honesty, musical celebration, and collective catharsis, beyond their wildest expectations. The tour was soon extended deeper into the summer, which also coincided with the recently released Ultimate Collector’s Edition of Purple Rain, available now in multiple formats via Warner Bros. Records/NPG. “We’ll keep going as long as the fans want us,” Brownmark added. Digital Trends sat down with Brownmark (born Mark Brown) backstage at Resorts International in Atlantic City, NJ to discuss the band’s studio techniques when recording with The Purple One, why Prince’s first No. 1 single, the groundbreaking When Doves Cry, has no bass on it whatsoever, and what they’re considering doing next. I don’t care pretty baby, just take me with u. . .
Digital Trends: What was your approach to working with Prince in the studio? Did you follow your instincts, go with the “first thought, best thought” rule, do a lot of takes, or was it something else? 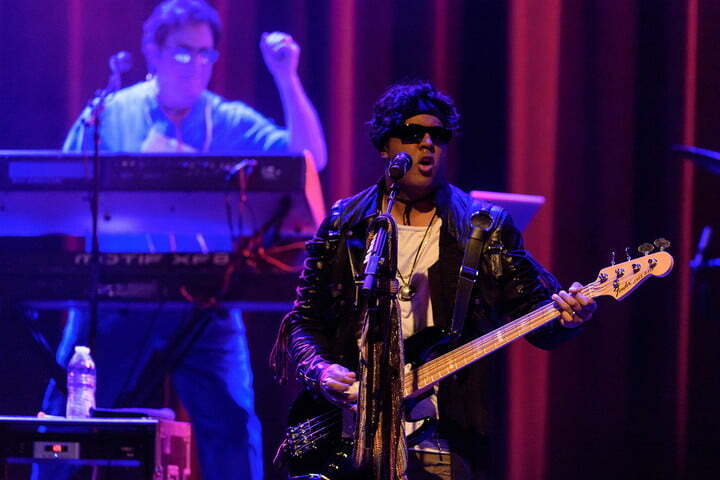 Brownmark: I know what Prince taught me, and he pretty much taught all of us the same thing. His work ethic is — you’ve got to capture the magic. You don’t “rehearse,” you don’t “practice” — there’s no such thing as that. When we were writing a song, it was all about feel. You find the groove, and then you piece the track together. When it comes to actually going in the studio and laying it down for a recording, you already know what it is, and it’s done live. You’re the guy laying down the low end for much of the recorded material from this era. 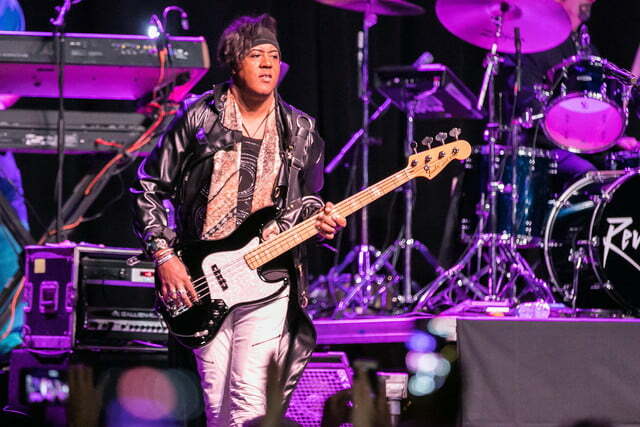 Would Prince play you his demos to give you an idea of what to do on bass? I always tell people the story of Computer Blue, because that’s one that started with an idea he had brought to us. Our studio was also the rehearsal space, so we had the equipment and all the tape machines set up in there. If we wanted to record, we could just start. I started playing it, and I remember Prince walked over to me and put his foot on my fuzz pedal — my distortion pedal — and it went boom boom boom. And he went, “Yeahhh — that’s it!” And that was it. We kept it, and that’s the way it stayed from that point on. In the earlier days of vinyl, did you ever feel frustrated hearing back what you thought you had laid down because they just couldn’t replicate how low you went during the recording phase? He had this little toy turntable that was more like for a kid’s room. But if you listened to the 12-inch DJ remixes, the grooves were wider and they were pitting them deeper, so they could handle more of the resonances. That’s where it comes through — on those 12-inch remixes. When you’re piling 14, 15, and sometimes even 20 songs on a record, the grooves get thinner and thinner and that’s when the skipping starts, because the bass will cause that needle to jump. On the 12-inches, you didn’t have that problem, so I started putting less music on those discs. When I worked for Motown, we tried to keep it down to nine or ten songs so that you could really get that bass on there. The converse of that is when we moved to the digital age and the CD era, and albums got much, much longer. How did you feel about the shift from analog to digital? The only thing I don’t like is the digital doesn’t have the roundness, or the warmth. I can’t get the bass tones I could get back in the ’80s. I can go to a Neve console and use 2-inch tape to get the bass tones I want, but with this new stuff, well (slight pause)… I get close. I get some good sounds. But clarity is nothing like it used to be. 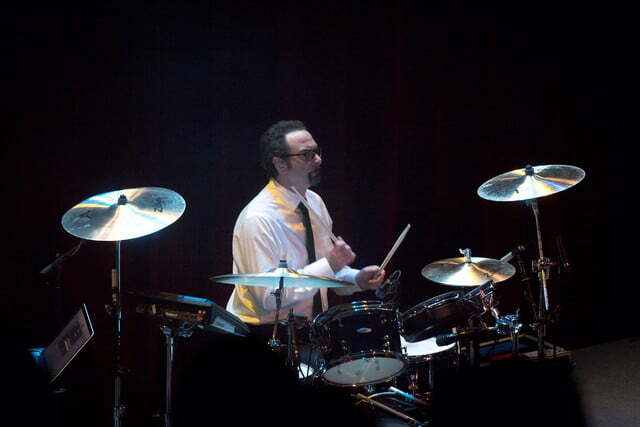 One of the most iconic songs from Purple Rain you’ve been playing in the live set is When Doves Cry. Thing is, that song actually has no bass on it whatsoever. (nods) Yes, that’s correct. There’s no bass on it. How did that decision get made? Did you know beforehand what Prince was going to do there? You were able to recognize the recording was better served without having bass on it. Yes — but live, I put some rumble on it! (smiles) I put some rumble on it, and it fills it up greatly. I like the way Questlove says it: “I’m a ghost-note player.” I was notorious for that back in the ’80s, and Prince likes that. He always did. He always wanted a bass player who could do ghost-noting, which is basically all feel, but you’ll never figure out what the guy is playing. Larry Graham, [the bassist] of Sly and The Family Stone, was also like that. We’re feel players, and we’ve always been that. That’s where we come from. You’re seeing multigenerational audiences at all these Revolution shows, with a lot of people who weren’t even born when those albums first came out. Is that a surprise to you at all? It’s not a surprise. What happened through the decades is many generations tapped into what Prince was doing. Upon his death, it was like a reintroduction, because nobody — not even Michael Jackson — got this much attention. 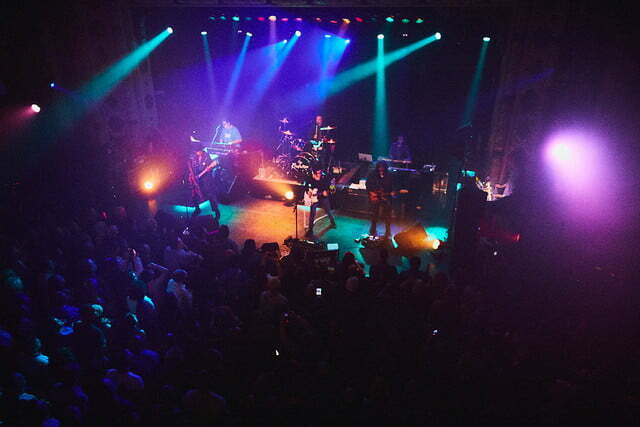 (slight pause) Everybody was blown away by the love people had for Prince. It was almost like a secret cult had come to light, based on the way people came out of the woodwork to talk about him after he died. Exactly. It’s a cult following, almost like the Grateful Dead. The Prince following is really underground. His audience doesn’t listen to the mainstream — well, most of them don’t — and they come from all different walks of life. Is there the possibility of doing new material as The Revolution, now that you’re all locked back into the groove together? We get that question a lot, and all I can say is this: We’re the kind of people who are very focused — and we’re very cautious. There are many different family members in the Prince camp, and we’re very cautious as to how we move, because we don’t want to insult or offend anyone. 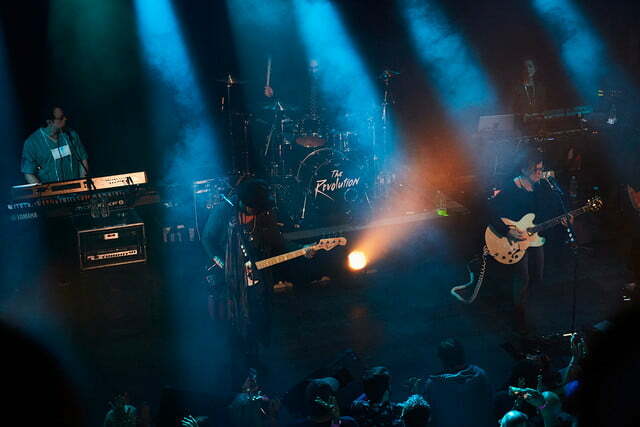 We’re “the movie band,” so we get a lot of attention for that. We don’t apologize for that, but what we do is, we’re humbly cautious not to hurt anybody else, so we tread lightly. 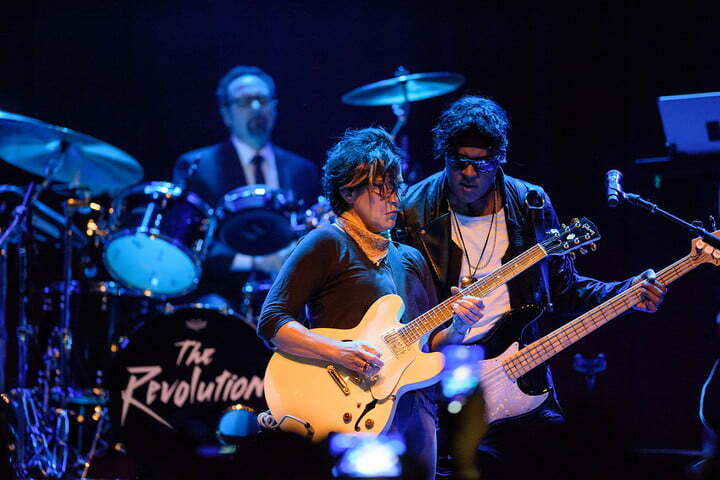 There is a lot of stuff in the vault that is Prince and The Revolution. We have a lot of music in the vault. Many people don’t even realize a lot of the material on Sign o’ the Times (1987) came from us, working with Prince together. There is a lot of stuff in the vault that is Prince and The Revolution. And we’re hoping, once everything gets settled, the family will let us take a few of those songs, and start releasing them. We’ll go back in the studio, we’ll bring them back up to date, fix the vocals on them, and we’ll go and release that stuff. That’s what we’re hoping. 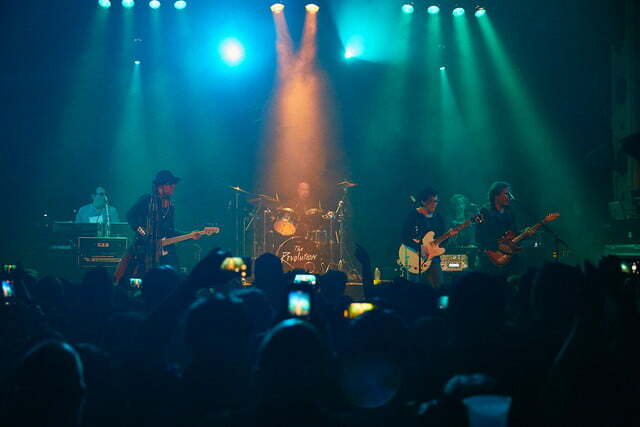 I’d love to hear new music by The Revolution, so count me in. Finally, how do you think Prince, wherever he is in the universe, feels about what The Revolution is doing today? I think what’s happened with The Revolution music is, people are hearing it live and going back to find out, “Oh, wow — this stuff is awesome!” There’s no time stamp on it, so it stands the test of time. It’s going to be here for centuries.